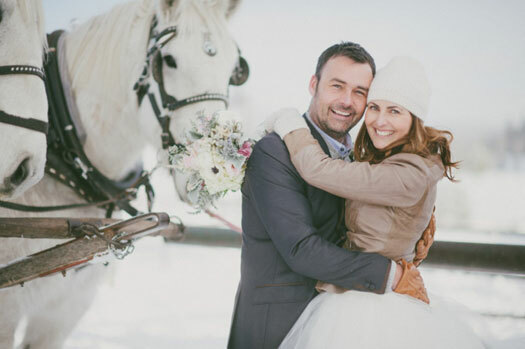 From the bride, Angela… We decided the best place for us to get married is one where we are the happiest. That is, on holiday, in the snow, with our wonderful friends. 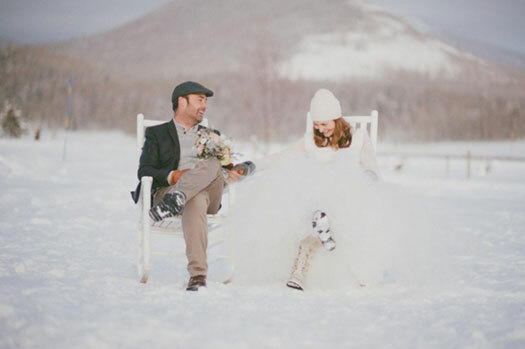 We traveled from Australia to Steamboat Springs, Colorado to get married. We decided to keep our wedding a surprise from our family and friends. The tutu was my real inspiration with a tiny bit of romantic fantasy. 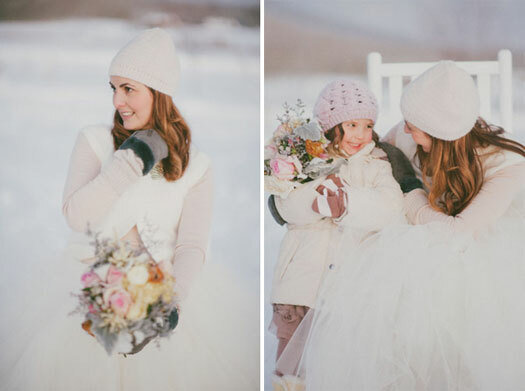 We were married standing in the beautiful snow in sub zero temperatures. The sun was shining and it was snowing! There were tears, there was an abundance of joy and it was magical. 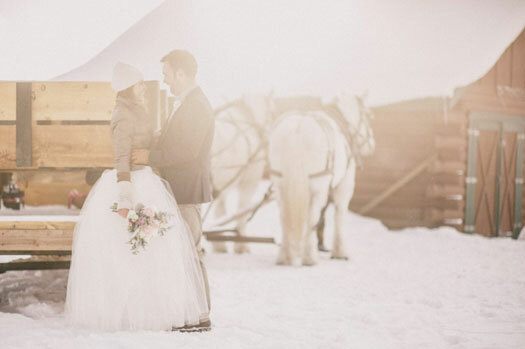 We wanted everyone to enjoy a sleigh ride together – it was fun and will never be forgotten, but we couldn’t feel our feet or our faces, it was sooo cold. Snow makes everything look beautiful. 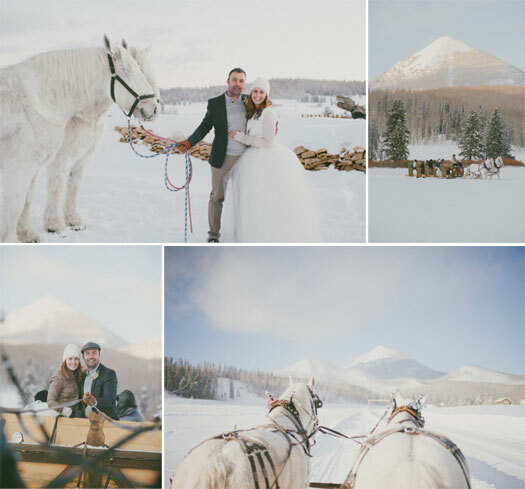 Our mountain destination wedding was snowy, picturesque and romantic. I will forever be reminded of it when I return to Steamboat, and whenever I go skiing. Take the time to talk about your dreams and expectations for your wedding day, and for your future. Try to do what you want for your big day, not what everyone else wants. I love this wedding! So romantic and the couple has great style.